5:10–The Proud Image Chorus warms up for their annual Valentine’s Day fundraiser. 5:50–Jons Olsson of the Proud Image Chorus talks about sharing Valentine’s Day joy throughout the Cedar Valley next week. 6:35–A woman is suing a background check website after her husband used it to catch her cheating. Fox News Radio Legal Analyst Wendy Patrick talks with Jeff Stein and suggests some of the problems the woman’s case may encounter. 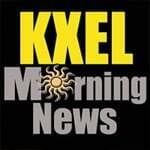 6:50–University of Northern Iowa Political Science Professor Chris Larimer provides analysis of Tuesday’s State of the Union address. 7:35–TV9 Meteorologist Kaj O’Mara says the cycle of afternoon and evening wintry precipitation will repeat on Wednesday and Thursday.